Absolutely Nothing Has Improved Under Obama’s Presidency | Virginia Right! How do you define a failed presidency? Until now, the gold standard of presidential failure was Jimmy Carter. His main failing attribute was his ineptitude. The man was simply in over his head at every level. The United States has suffered many presidents rich in mediocrity, but none so clueless as Carter. Barack Obama is not only inept, he believes he is smarter than everyone else. He is unable to accept responsibility for his failures and must find someone else to blame. When Carter accepted responsibility for his failures, and said ‘the buck stops here’ that was the end of it. 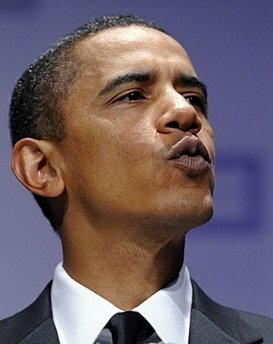 But when Obama says ‘the buck stops here’ what he really means is ‘I will tell you who to blame – and it ain’t me’. And that is a dangerous combination. We have a totally inept Democratic president (again) who believes he is infallible. If the press were to fan the flames of hatred and failure like they do for Republicans, this president would have been run out of office long before now. And while it has only been a year and a half that Obama has been president, the fact remains it has been a year and a half. If his ideas and policies were working, or going to work, we would be seeing some improvement somewhere. It is often asked in a presidential race “Are you better off than you were 4 years ago.” That is a question that needs to be pondered more often than every 4 years. It should at least be asked every few months in every president’s term. And if the answer is no, we need to correct the direction we are going. Four years is a long time to head in the wrong direction. An honest assessment – without the liberal media spin – shows failure at every turn with Obama. The economy is not recovering despite the cheerleader-like efforts of the Obama apologists and media. At best it has settled to the basement. Financial institutions are both underwhelmed by Obama’s “leadership” and overwrought by Obama’s propensity to change the rules in the middle of the game that an economic recovery is impossible in this climate. Making money, once the goal of our economy, is now portrayed as greed. The punishment for success is regulation, or seizure. Verdict: Much worse under Obama. Unemployment goes hand in hand with the economy. Businesses are fearful of making money because they could become the next target of the Obama administration. The unknown mandates from Health Care loom large. Businesses are not willing to stick their neck out with Obama in the White House. So they are laying low. There is absolutely no financial incentive to risk money by expanding. Verdict: Much worse under Obama. Health Care Reform, the crown jewel of the Obama “accomplishments” are turning into a national nightmare. Already the new Obamacare law is causing premiums to skyrocket, much to the chagrin of the White House. But it is simple economics. The new law has forced insurers to cover numerous procedures without deductibles. The law has mandated the elimination of preexisting conditions exclusions, which, while popular is very costly. The average profit margin of Health Insurers is around 2%. The increases are either passed along to customers, balanced with cuts elsewhere, or the insurance company will go out of business. Verdict: Much worse under Obama. The Environment has taken it’s most severe hit – ever. And Obama continues to allow BP to flounder. Verdict: Much worse under Obama. Race relations are at an all time low. This president has done more to alienate every race from one another than any president in history. Verdict: Much worse under Obama. The deficit and the National Debt have exploded under Obama. We have reached the point that repaying this massive debt is impossible. The irresponsible Democrats have even reached the point that they are no longer interested in a budget. They are simply borrowing and spending like there is no tomorrow. Verdict: Much worse under Obama. If there were ever a time we needed the press to hold a president’s feet to the fire, it is now. But that is not going to happen. They are fooling themselves and the people as the American Dream is flushed down the toilet. The only hope to begin the turn around is the elections in November, 2010. While a responsible adult in the White House is out of the question before 2012 (barring impeachment), gridlock may be our only salvation. Often seen as a bad thing, if gridlock becomes a tool to stop the unfettered spending and decimation of our economy (and the environment) by these out of control “progressives”, then gridlock is just another check in our system of checks and balances. And checks and balances are mandatory in a Democracy, as the last year and a half has demonstrated. Unchecked power leads to disaster on every front.